The upscale Slate Creek Apartments experience doesn't end outside your walls. 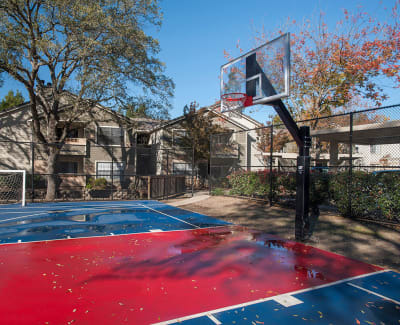 Our fun and vibrant community is designed to add a little something extra to your everyday life. When it’s time to hit the gym, get your blood pumping at our top-of-the-line 24-hour fitness center. When friends visit, grill up some steaks on the outdoor gas grills, and then kick back in the resident lounge and celebrate another successful day. With so much to love about Slate Creek Apartments, you’ll wonder why you didn’t move here sooner. And the perks don’t end when it comes to your four-legged friend. 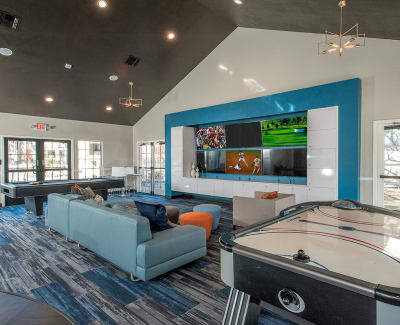 Our pet-friendly community is meant to be an inviting place for everyone in your life, and we think even the furriest ones will love our onsite dog park. Contact our professional leasing team today to learn more about our pet policy. To schedule a personalized tour of our charming community, contact our friendly leasing staff today.